Humor is probably one of the few features applicable to virtually all people in the world, but the perception and appreciation of humor can be circumstantial and culture-dependent. Although the potential role of humor in language classrooms has been the topic of research over the last years, limited research has been conducted on cross-cultural variability in humor perception and appreciation. The current study, seeking to address this gap, was conducted with a multicultural group of English language learners (ELLs). 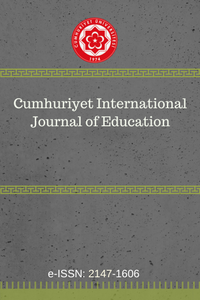 One hundred and six ELLs consisting of three main groups (i.e., Turkish, Asian and European) took part in this study. After completing a language background questionnaire, participants rated 6 humorous scenarios and then completed a 25-item humor perception questionnaire. Further, participants answered three open-ended questions at the end of the questionnaire. The results indicated that learners generally assigned more positive scores to universal jokes when compared to linguistic and cultural jokes. As for the perception of humor use in English classrooms, Asian group held slightly less positive attitudes towards the use of humor whereas Turkish group was the one most interested in the employment of humor. In addition, the results indicated that humor was linked to several benefits such as lowering affective barriers to English language learning, increasing ELLs’ attentiveness in the classroom and improving teacher-student rapport. Mizah muhtemelen tüm insanlar için geçerli olan birkaç unsurdan biridir, ancak mizahın algılanışı ve takdir edilmesi bazı koşullara ve hatta kültüre bağlı olabilir. Mizahın yabancı dil öğrenme üzerindeki potansiyel etkisi son dönemde araştırılmaya başlansa da, mizah algısındaki kültürlerarası değişkenlik çok az ele alınmıştır. Bu yüzden, farklı kültürlerden gelen bir öğrenci grubuyla bir çalışma yapılmıştır. Toplamda üç genel gruptan (Türk, Asyalı, ve Avrupalı) oluşan 106 öğrenci bu çalışmaya katılmıştır. Katılımcılar önce 6 adet farklı türde mizah unsuru içeren senaryoları puanlayıp, sonra 25 soruluk mizah algı anketini doldurmuşlardır. Son olarak da 3 adet açık uçlu soruyu cevaplamışlardır. Sonuçlar, öğrencilerin dilsel ve kültürel mizaha kıyasla evrensel mizah unsuru içeren senaryolara daha pozitif yaklaştığını göstermiştir. Yabancı dil derslerinde mizah kullanımı konusunda ise Asyalı öğrenciler biraz olumsuz tutum takınırken Türk öğrenciler mizaha en açık grup olmuştur. Buna ek olarak, sonuçlar, mizahın İngilizce dil öğrenimine karşı oluşan duyuşsal engelleri azaltmak, öğrencilerin derse olan katılımını artırmak ve öğretmen-öğrenci arasındaki iletişimi güçlendirmek gibi çeşitli faydalarının olduğunu göstermiştir. Askildson, L. (2005). Effects of humor in the language classroom: Humor as a pedagogical tool in theory and practice. Arizona Working Papers in SLAT, 12, 45–61. Bell, Nancy (2017). Humor and second language development. In Salvatore Attardo (Ed. ), The Routledge handbook of language and humor (pp. 444–455). New York, New York: Routledge. Berk, R. (1996). Student ratings of 10 strategies for using humor in college teaching. Journal of Excellence in College Teaching, 7(3), 71–92. Creswell, J. W., & Plano-Clark, V. L. (2011). Designing and conducting mixed methods research (2nd ed.). Thousand Oaks, CA: SAGE Publishing. Hsin, A. (2006, April). Comprehension of English Jokes in Chinese EFL Learners. Paper presented at International Conference on English Instruction and Assessment. Chung-Cheng Univ. Jia-yi, ROC. Liao, C. C. (2001) Taiwanese perceptions of humor: a sociolinguistic perspective. Taipei, Taiwan: Crane. Martin, R. A. (2007). The psychology of humor: An integrative approach. Cambridge: Cambridge University Press. Szirmai, M. (2012). Raising multicultural awareness by teaching humor in foreign language classes. In G. Alao, M.D. Plard, E. Suzuki and S. Y. Roger (eds.). Didactique plurilingue et pluriculturelle: l'acteur en contexte mondialisé. Tabachnick B., & Fidell, L. (2013). Using multivariate statistics. Boston: Pearson Education Inc.
Wanzer, M. B. (2002). Use of humor in the classroom: The good, the bad, and the not-so-funny things that teachers say and do. In J. Chesebro and J. McCroskey (eds.). Communication for teachers. Boston: Allyn & Bacon.